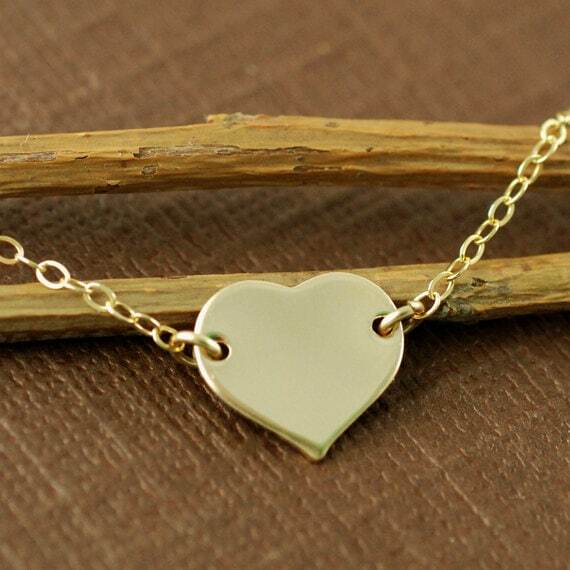 This is just like the necklace that Charlize Theron Wears in Young Adult!. Everyone I know that saw this movie wants a replica just like it. 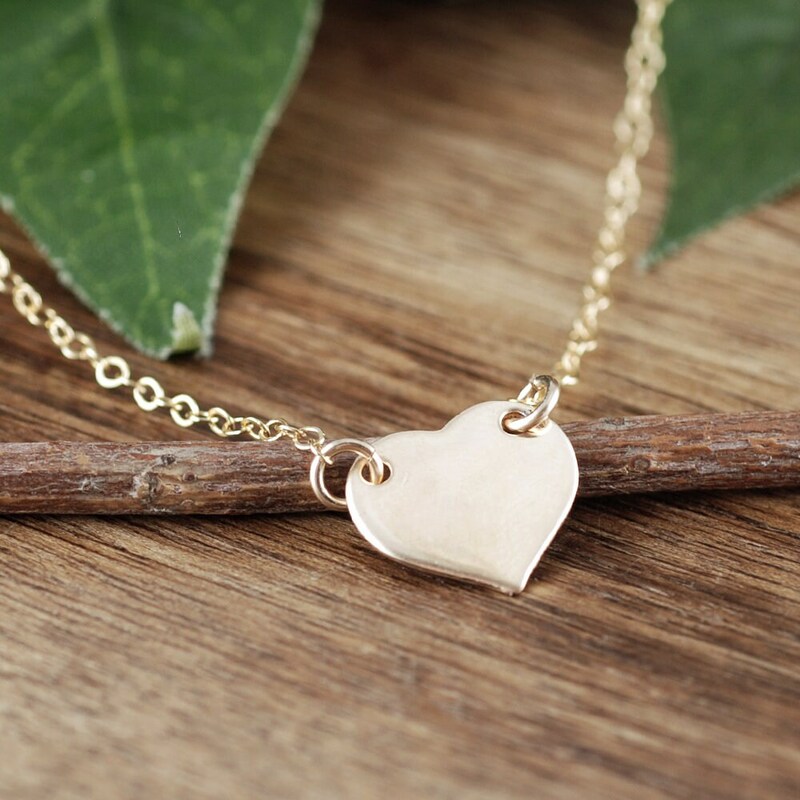 This very delicate gold heart necklace is designed with a 1/2" 14kt gold filled heart. 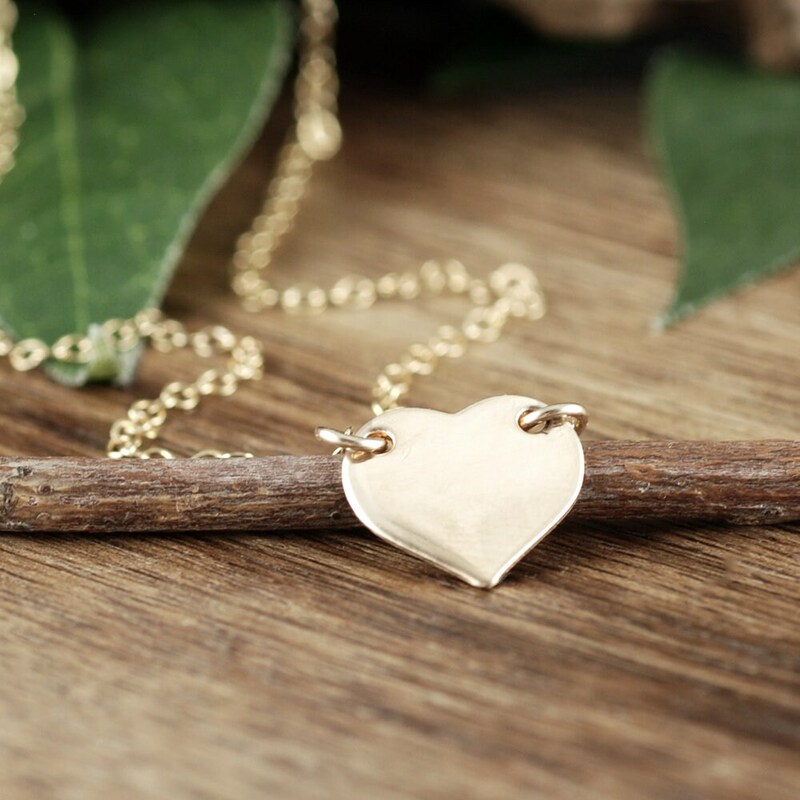 The heart pendant hangs from a 14kt gold filled cable link chain. 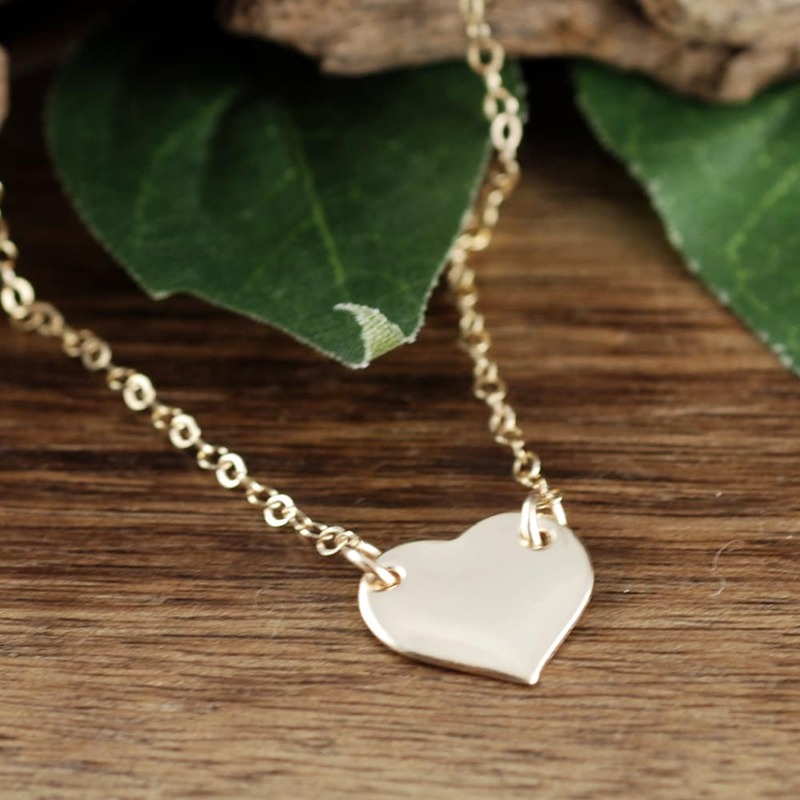 Necklace measures 15.5" which hangs perfectly as a choker style that Charlize Theron wore in the movie. 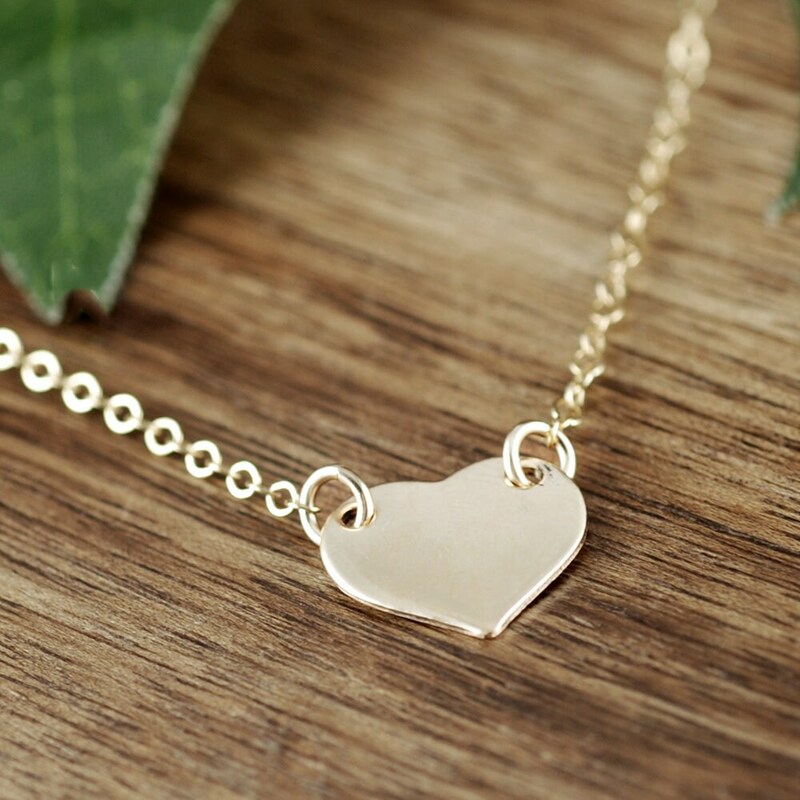 This necklace looks absolutely adorable by itself or layered with multiple necklaces. 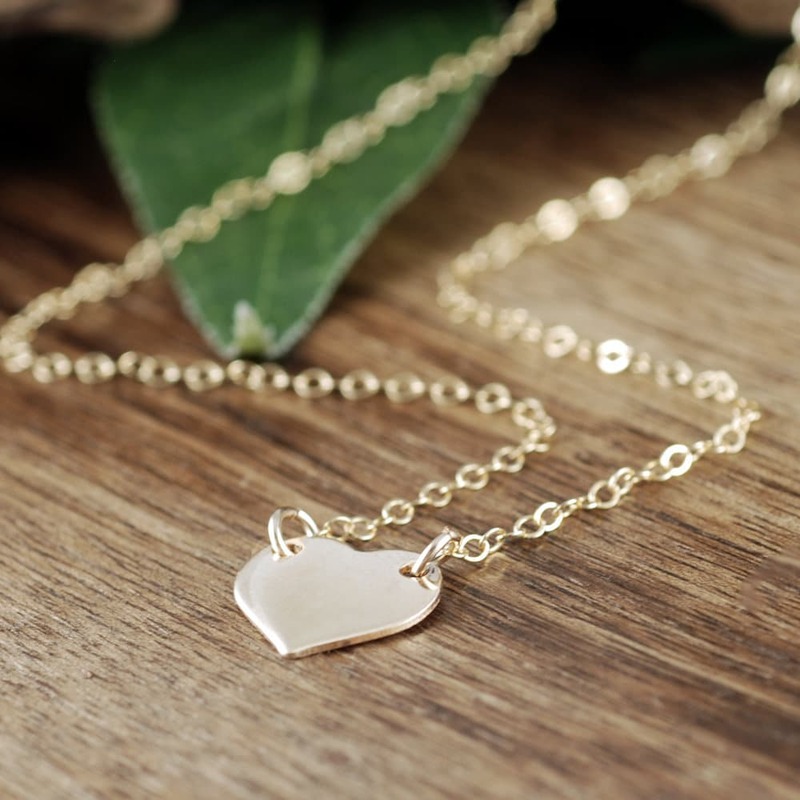 Can be designed with a longer length chain. 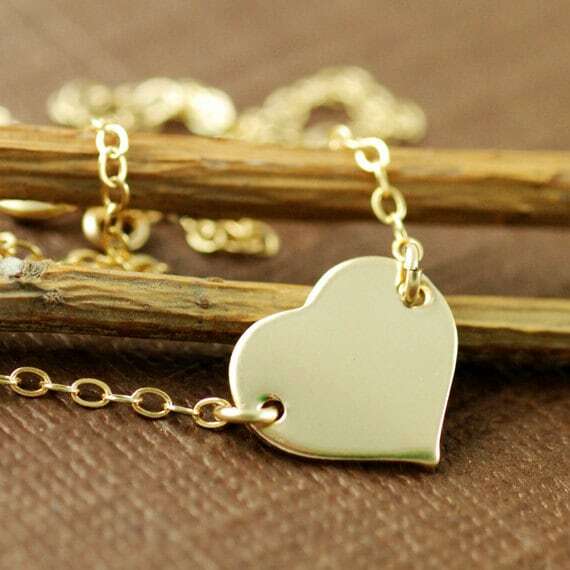 I have been wearing this necklace everyday and get so many compliments on it. If you have any requests or questions please do not hesitate to convo me.